The Cost of Convenience: How Does Distance Education Mix with the Modern-Day Student? Adult education tools have transformed over the years to become very Internet-based. Distance education courses represent one of the fastest-growing sectors within higher education and as an elected form of education for adult learners. Nontraditional students play an important role in the continued growth of this educational modality and are using distance education courses to further their knowledge, skills, and careers. Additionally, this tool is enabling adults who might otherwise be unable to participate in learning opportunities because they are place-bound to have access to a wealth of information and courses available through distance education courses. In regards to adult health, research has identified potential impacts on academic success including sleep quality and external responsibilities, such as work and caretaking. Nontraditional, adult students are increasingly pressured with greater external responsibilities that in turn may affect their sleep quality, creating a sort of chain reaction of potential academic obstacles. Raising awareness of these health issues and impacts is important in setting up adult learners, especially those taking distance education courses, with the greatest opportunities for academic success. This chapter explores distance education. In our evolving society, many adults are pursuing lifelong learning via the utilization of distance education courses, particularly at local community colleges that offer courses at more reasonable prices as compared to many larger universities. This trend has led to a rapidly growing number of distance education offerings and sections at the community/state college level. The National Center for Education Statistics (NCES) reports that for the 2006-2007 academic year, 96 percent of public community colleges offered at least one distance education course (Parsad & Lewis, 2008). Also, institutions classified by the Carnegie Foundation as Associate’s Colleges showed the greatest increases in distance education enrollments from 800,000 students as of fall 2002 to just over 1.9 million students in fall 2006 (Allen & Seaman, 2007). Surprisingly, distance education course enrollment at the community college level for fall 2006 accounted for higher figures than all other types of institutions, such as 4-year universities, combined (Cejda, 2010). Lokken and Womer (2007) report that online programs are the leading source of enrollment growth in community colleges because increases in that single sector exceed overall enrollment growth. With this kind of growth, it remains prudent to examine distance education and its role in academic success for the now millions of students, including many nontraditional students, that take these types of courses. Furthermore, it is important to identify specific characteristics that have been linked with academic success or nonsuccess, to better prepare and/or educate students, faculty, and institutions involved in distance education. For example, covered in detail in this chapter will be the aspect of sleep quality and its impact, either positive or negative, on academic success. 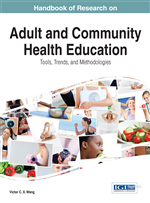 Understanding the adult health issues related to declining sleep quality, trends in this area, academic impacts, and its relationship with distance education courses are also covered. Sleep quality is an important human health issue that is currently under increasing pressure. Students see distance education programs as opportunities to “pursue education necessary to their future while simultaneously maintaining or seeking employment” (Betts, Hartman, & Oxholm, 2009, p. 4). This is true for Traditionalists (1927-1945) and Baby Boomers (1946-1964), who are not in a position to retire, as a result of the downward economic shift, but who seek out distance education opportunities because it offers them a chance to earn additional work skills and degrees while simultaneously maintaining employment or when initiating a new career path (Betts et al., 2009). These situations, however, present the potential for increasing pressures on the individual student, as they attempt to balance educational demands with existing responsibilities. That pressure can result in reduced sleep quality. The topic of distance education and the relationship of academic success to human health characteristics and cultural trends could not be more current and crucial, as the field continues to expand and the numbers of participating students grows. As such, the following subject matter will be covered in this chapter: a theoretical framework for research topics covered, a description of what distance education constitutes and its historical development to its present state, an explanation of the distance education student population and reasons why they have chosen distance education courses, a description of models ascribing for the high distance education course dropout rates, a report on ways to measure academic success, followed by a review of research related to sleep, sleep quality, work, caretaking responsibilities, and age and their relationship to academic success, specifically for adult learners. This collection of topics is meant to provide an understanding of how life events, responsibilities, and behaviors may facilitate or inhibit learning in the online environment. Furthermore, this chapter aims to instigate discussions on the health related issues impacting learning success and how those issues can be remediated to improve educational outcomes. Distance Education: The United States Distance Learning Association (USDLA) defines distance education as: “A generic, all-inclusive term used to refer to the physical separation of teachers and learners. (2) [Distance Education, Distance Learning, Distributed Learning] The application of information technology (and infrastructure) to educational and student-related activities linking teachers and students in differing places. (3) The student and instructor are physically separated by any distance. All communications are mediated by some type of electronic means in real or delayed time. Location is of no significance. (4) The organizational framework and process of providing instruction at a distance. Distance education takes place when a teacher and student(s) are physically separated, and technology (i.e., audio, video, and computers, print) is used to bridge the instructional gap. (5) The organizational framework and process of providing instruction at a distance. Distance education takes place when a teacher and student(s) are physically separated, and technology (i.e., voice, video, data, or print) is used to bridge the instructional gap” ( Simonson, 2008 ). Academic Success: A measurement including any/all of the following examples for students: testing scores, GPA, individual course grades, teacher evaluations, assignment grades, etc. Work Hours: A measurement of the amount of time dedicated to completed tasks for a place of employment. Caretaking: The act of looking after others’ well-being (including children and/or the elderly) within the home. Sleepiness: A physiological state represented by depressed arousability and physiological responsivity ( Campos-Morales et al., 2005 ). Sleep Quality: A measurement of sleep status that includes quantitative sleep aspects such as “sleep duration, sleep latency, or number of arousals,” and subjective aspects such as the “depth” or “restfulness” of sleep for individuals (Buysse, Reynolds, Monk, Berman, & Kupfer, 1988 AU43: The in-text citation &quot;Buysse, Reynolds, Monk, Berman, &amp; Kupfer, 1988&quot; is not in the reference list. Please correct the citation, add the reference to the list, or delete the citation. ). Nontraditional student: Bean and Metzner (1985) define nontraditional students as a population including: Students age 25 or older, part-time enrolled students, commuter students. Course: An academic unit typically consisting of an established curriculum or focus of study. Grades: A measurement of student academic success on an assignment, test, etc. typically provided by an instructor/teacher or automated system. College: An institution of higher education typically offering certificates, two-year degrees, and four-year degrees.